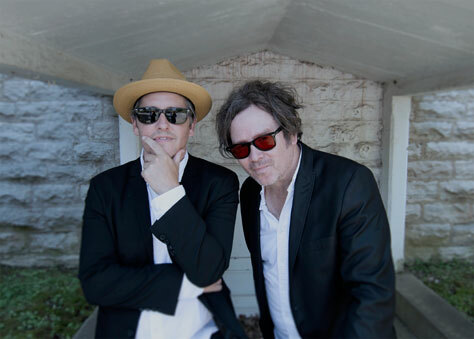 We’re delighted to be promoting a rare co-headline show for Josh Rouse and Grant-Lee Phillips. Josh Rouse was born in Nebraska, and following an itinerant upbringing he eventually landed in Nashville where he recorded his debut Dressed Like Nebraska (1998). The album’s acclaim led to tours with Aimee Mann, Mark Etzel and the late Vic Chestnut. The follow-up – Home (2000) – yielded the song Directions, which Cameron Crowe used in his film Vanilla Sky. For his breakthrough album, 1972 (2003), which happens to be the year he was born, Rouse decided to cheer up a bit. Noting that he’d earned a reputation for melancholy, he says, with a laugh, ‘I figured this is my career, I might as well try to enjoy it’. The follow-up, Nashville (2005), continued the hot streak and expanded his audience further. After relocating to Valencia, Spain with his wife Paz, Rouse has released a steady stream of high quality songs and albums. Subtitulo (2006) contained the international indie folk hit Quiet Town. On El Turista (2010) he even experimented with writing and singing some songs in Spanish. In 2014, he won a Goya Award (the Spanish equivalent of an Oscar) for best song for Do You Really Want To Be In Love, from the film La Gran Familia Española. 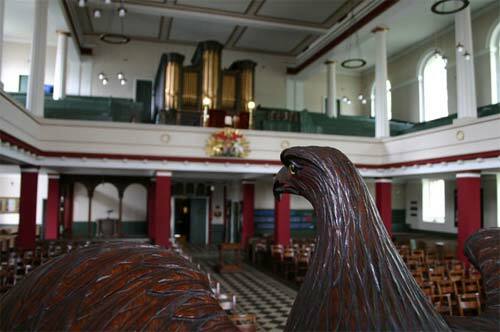 We’re excited to be returning to a very special venue for this show: St Philip’s Church. The building is one of Greater Manchester’s finest Georgian buildings, dating back to 1825, and its Greek style is unique in Salford.